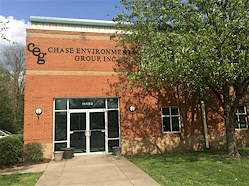 Chase Environmental Group is a full-service consulting and remediation firm providing practical, cost effective solutions to your environmental challenges. We provide waste management, scientific and project management services. Chase has offices located in Louisville and Paducah, Kentucky and Oak Ridge, Tennessee.�We have teaming agreements with companies who provide complimentary services to those we offer.